Basket-carrying cyclist at charity sports day. - Bicivilizados. Ciclismo urbano. Alegría entre tus piernas. Basket-carrying cyclist at charity sports day. Home / fotografía / Basket-carrying cyclist at charity sports day. A photograph of a competitor at a charity sports day held at Herne Hill, London, taken in September 1938 by Sayers for the Daily Herald. 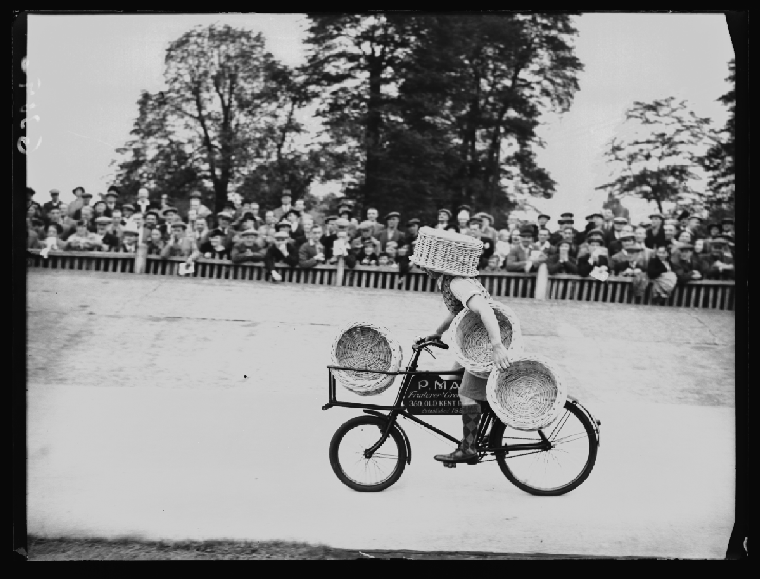 Competitors in the tradesmen’s bicycle race had to carry half-bushel baskets as they cycled.